There’s the sense of an absence where the president should be. None of this plan makes sense. It’s busy work meant to foster confidence. But it encourages the feeling that no one’s in charge, the federal government isn’t working, everyone’s dissembling, and the No. 1 priority is to keep the public calm as opposed to safe. And now this week’s story on the big absence. President Obama with outgoing Defense Secretary Leon Panetta in 2013. Leon Panetta ’s “Worthy Fights” pretends to offer answers to a problem of which the book is actually an example—the mindless (as opposed to thoughtful and constructive) partisanship that has seized Washington. This memoir of his years as a successful political and bureaucratic player is obnoxious and lacks stature. Reading a comparable book, Robert Gates ’s recent, stinging memoir, you could see through the lines a broken heart. In Mr. Panetta’s you see mostly spleen. He is catty about David Petraeus —his office is “a shrine . . . to himself.” Mr. Panetta subtly, deftly, with a winning oh-goshness, takes a whole lot of credit for the bin Laden raid. This section is accompanied by unctuous compliments for Mr. Obama, whose chief brilliance appears to be that he listened to Mr. Panetta. “Worthy Fights” is highly self-regarding even for a Washington book. Mr. Panetta is always surprised, due to his natural modesty, to be offered yet another, higher position. He reluctantly accepts and wins over doubters with his plain, no-B.S. style. He does well, seeing around corners, saving budgets, and developing relationships with anxious prime ministers who need a pal. 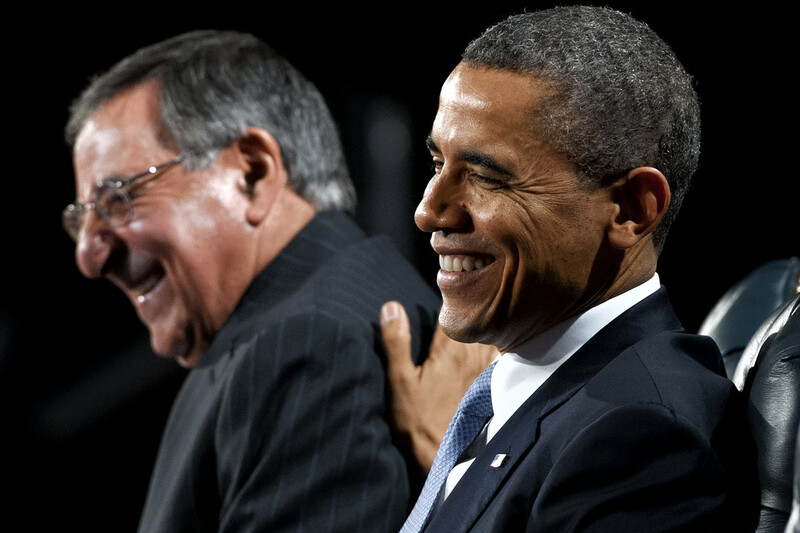 Publicly Mr. Panetta has always been at great pains to show the smiling, affable face of one who is above partisanship. But this book is smugly, grubbily partisan. Republicans aren’t bright and never good, though some— Bob Dole comes up—are reasonable. Republican presidents tend to be weak or care only for the rich. He really, really hates Newt Gingrich . His headline on the entire Reagan era: “Poverty spread and deepened during the Reagan years.” Under Bill Clinton “the economy boomed,” “poverty shrunk,” and “leadership matters.” Reagan, in fairness, was less terrible than Mr. Panetta expected, “less ideological and partisan.” Mr. Clinton is “ravenously intelligent.” Mr. Panetta lauds Mr. Clinton’s “astonishing ability to sift through facts” and his “empathy for average people.” The compliments are at once lackeyish and patronizing. In the epilogue Mr. Panetta seems to catch himself and writes, dictates or edits in the thought that he does not mean “to suggest that Democrats are good and Republicans are bad.” But that is what he repeatedly suggests. Here’s what is disturbing: to think this is one of Washington’s wise men. Here’s what’s true. At 76, at the end of a half-century-long, richly rewarded career, with perspective having presumably been gained and smallness washed away, in a book of history and reflection written at a time of high national peril, a lack of political graciousness, and the continued presence of a dumb and grinding partisanship, is unattractive to the point of unseemly. Mr. Panetta perhaps took this tack to buy himself space on the left. He is telling partisan Democrats on the ground that he’s really one of them, he hates those Republicans too, so you can trust him when he tells you Mr. Obama’s presidency is not a success. There is “a problem with President Obama’s use of his cabinet.” Every decision now comes from the White House, from people around the president, so secretaries learn not to take the initiative or push for needed change. Enforced passivity tends to filter down. Which would explain a few things. On Iraq, Mr. Panetta says he argued that if we did not leave behind a residual force to provide security and training, the country would slip into chaos with terrorists filling the vacuum. The White House pushed back; things got heated. Mr. Panetta’s side came to see the White House as “so eager to rid itself of Iraq that it was willing to withdraw rather than lock in arrangements that would preserve our influence and interests.” That is a serious charge. The White House won, and Iraq deteriorated. All this is credible and accords with the testimony of others. But it is fair to ask if he cared so much why he didn’t leave and speak sooner. It is fair to ask how much he left out. One reads and senses: a lot. Actually the way the president increasingly comes across, and not only in this book, is as eccentric—a person drawn to political power who doesn’t much like politics, or people, and who takes little joy from the wielding of power. Mr. Panetta suggests Mr. Obama isn’t good at rah-rah. He’s good at rah-rah for himself, just not for other causes. The book has been received cynically in some precincts and supportively in others, where Mr. Panetta’s candor and bravery are lauded. I’m not sure brave is the right word for a man who knows where the bodies are buried and can more than take care of himself in a street fight. Some say he wrote the book to help detach Hillary Clinton ’s fortunes from those of Mr. Obama. Maybe, but Mr. Panetta is savvy, shrewd and quick to see where things are going. I suspect he’s trying to detach his entire party’s fortunes from Mr. Obama. Reading this book and considering its timing, you get the impression that’s the real worthy battle on his mind.